Created for the busy woman who doesn’t have the time to scrapbook, Story Boards by Rendi™ offers a quick and easy way to capture, display and archive smartphone and other digital images. A patent-pending system, Story Boards™ allows anyone with a smartphone to create a physical 5” x 6 1/8” Photo Tag™ from a digital image. With Rendi’s Tag it! 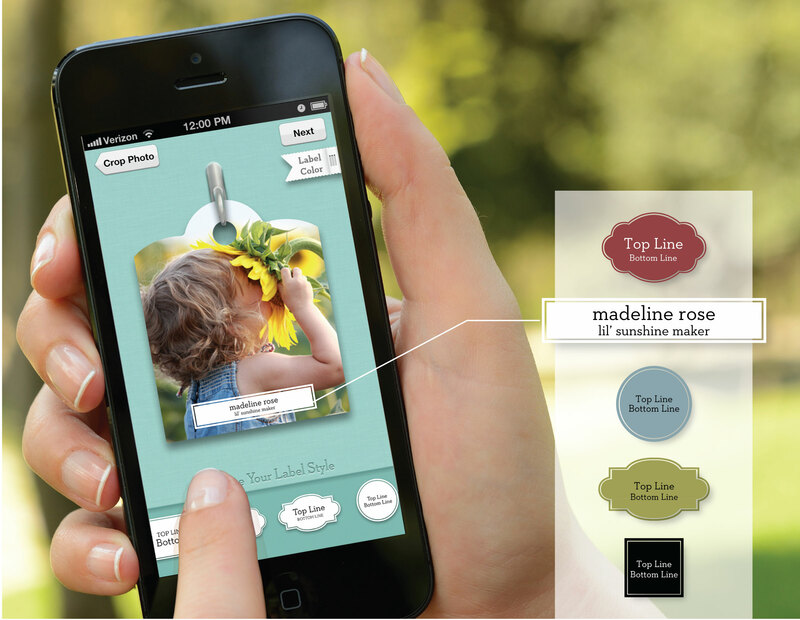 app, the smartphone user can crop, zoom, frame and label her photo and then tell a story about the moment on the back of the Tag. Once the completed Tag design is submitted via the app, Rendi will produce and mail the Tag within just a few business days. 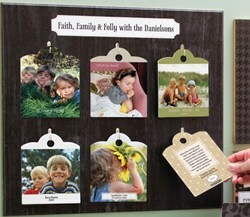 Tags are then hung on a customizable Story Board, a fun and interactive wall display. Annie Danielson, founder and president of Rendi, likens a Photo Tag™ to a page in a scrapbook. “With the Tag it! app, it now only takes a few minutes to capture a moment, tell the story of that moment and make it a treasured memory,” says Annie. At the time, Annie and her husband Mark owned Danielson Designs, a manufacturer of customizable home and wall décor that distributed its products via thousands of retail stores throughout the U.S. “I, like other busy moms, needed a product that allowed me to capture priceless moments and precious memories on the go. I needed a system that allowed me to display and archive my digital pictures from the palm of my hand wherever I was and at whatever moment was convenient,” said Danielson. While scrapbooking is moving quickly into the digital realm, unlike Story Boards™, the end result is still a traditional paper-based product that’s easily damaged and doesn’t wear well with lots of use. What’s more, traditional scrapbooking is time-consuming, whether the approach is with real scissors and photos or their digital cousins. Traditional scrapbooking also typically takes the form of a one-time project rather than an ongoing process. Therefore, it’s oftentimes difficult to recall dates, names, locations and situations if nothing has been inscribed on the back of the photos themselves. Story Boards by Rendi™ addresses all of these issues. 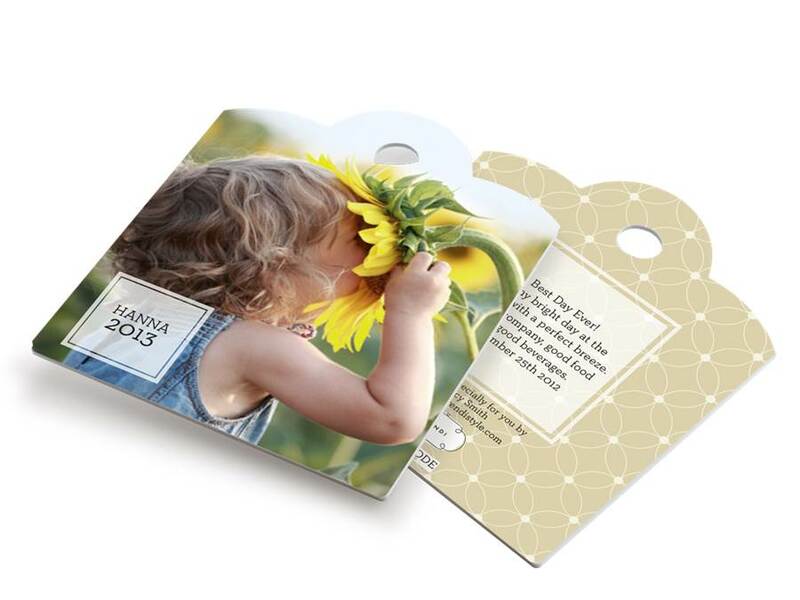 Photo Tags™ are made from Sintra, a very durable yet flexible material. The images produced on the tags are fade-resistant, and things like fingerprints and wine wash right off with a damp cloth. The image production process itself is toy safety certified, and Sintra is commonly used in medical devices. In short, Photo Tags™ are totally safe for and from kids of all ages. Memories are safe as well because app users create Tags in the moment rather than waiting to undertake the big scrapbook project. Those who don’t have two free hands or the time can use Siri or the Android Speech to Text voice application to “write in” label and story text . The Tag it! app also allows for designed Tags to be saved, so even if the Tag is not submitted for production, it can be accessed and edited at any time prior to submission for production. Finally, when Tags are ready to be rotated off of the Story Board, they are stored and displayed in a Treasure Chest, an archive quality, linen covered box with top lid. The Treasure Chest makes for a great tabletop Tag showcase and the perfect mode in which to pass Photo Tags™ from one generation to the next. To learn more about Story Boards by Rendi™, visit http://www.Rendistyle.com/Storyboard/. A Story Boards™ Treasure ChestOnce you're finished displaying your Photo Tags™ on your Story Board, store, display and pass them down to the next generation in this archive quality linen Treasure Chest. Front and back of a Rendi Photo Tag™Photo Tags™ are archive quality - they resist fading and damage over time. Photo Tags™ also offer two-sided customization and are made right here in the U.S.A. Rendi's exclusive Tag it! smartphone appIt all starts with Tag it!, Rendi's app that allows you to grab those smartphone photos and create a fun Photo Tag for display on your Story Board.